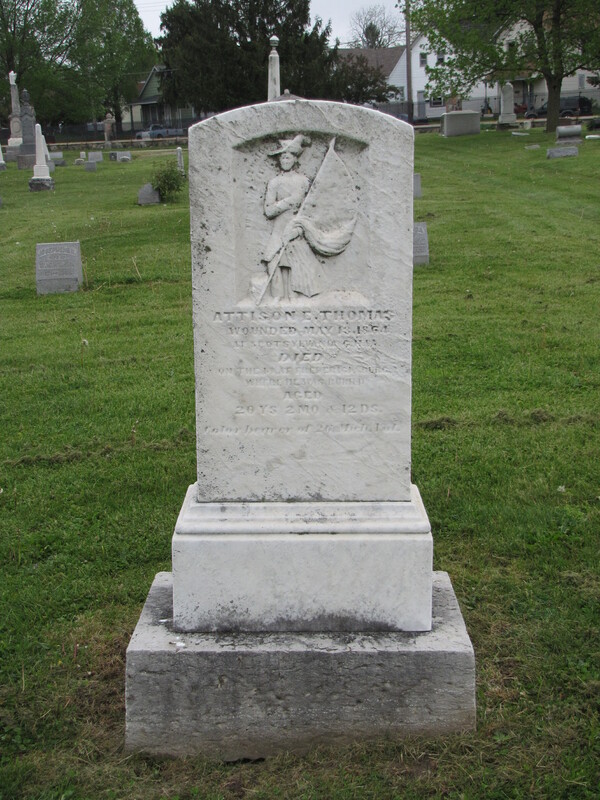 When I think of that line about the old soldiers, I am reminded of the many gravestones that I have seen where the image of the soldier is showing the signs of weathering and is fading away from the soft white marble markers, like the one in the photograph from the Beech Grove Cemetery in Muncie, Indiana. 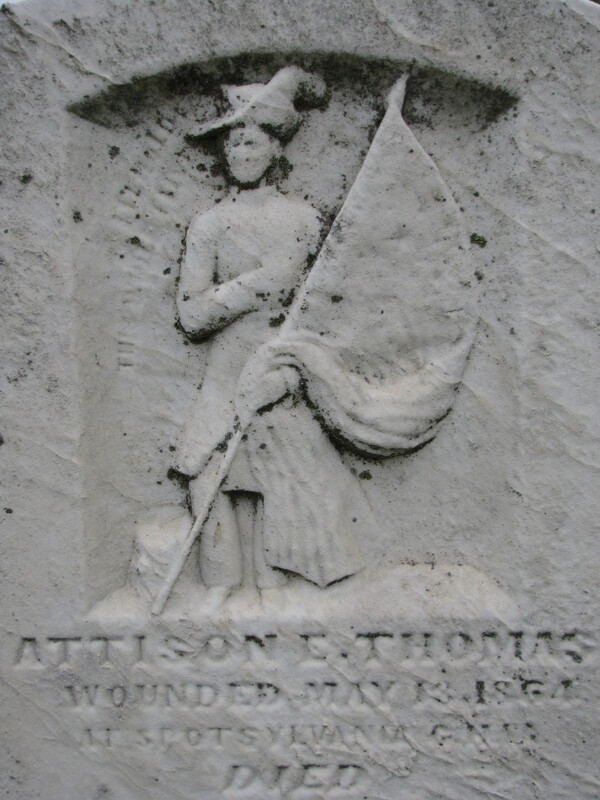 The image of the 20-year old Michigan volunteer color bearer, delicately carved into the top quarter of this segmented-top tablet, who was wounded in battle at Spottsylvania, is becoming faint. The details of his face, uniform, and flag have been lost to the wind and rain. I am also reminded that on days like Memorial Day, we are asked, and rightly so, to remember the commitment and sacrifice of the soldiers who have fought in all of our wars and have guarded our freedoms.